Temperatures may be below freezing but I know that many parents are considering their children’s summer plans. I’d like to highlight several UU summer camps and conferences that UUCWC children love attending. These longer UU immersion experiences are excellent ways to solidify a child’s Unitarian … read more. The Unitarian Universalist Church at Washington Crossing is proud to be a Welcoming Congregation for all. We support people who are transgender and will work to ensure their lives and personhood will not be erased. UUCWC was one of the first five UU congregations in the … read more. 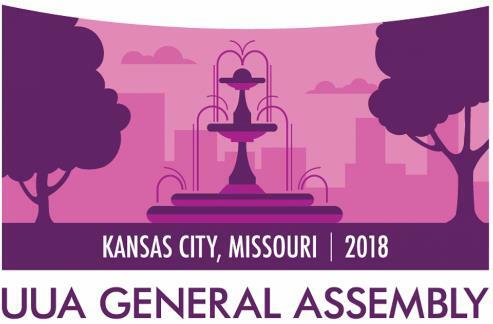 It seems like only yesterday that approximately 3,000 UU’s descended on Kansas City, Missouri for the 57th Annual General Assembly. What is General Assembly? It’s a time when for about 5 … read more. General Assembly is the annual meeting of our Unitarian Universalist Association. Attendees worship, witness, learn, connect, and make policy for the Association through democratic process. Anyone may attend; congregations must certify annually to send voting delegates. The 2018 General Assembly will be June 20-24 … read more. Interested in attending General Assembly this year? Registration, housing requests and financial aid applications open on March 1. Grounded in a deep belief that we are all prophets, Unitarian Universalists ask, “How can we faithfully meet the demands of our time?” The … read more. 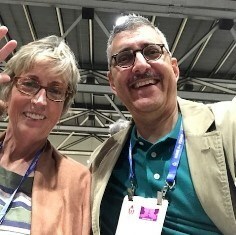 UU’s UNITE: General Assembly is Coming! This past year, we’ve been learning more and more about how this faith is one of change and dynamic process and learning. Just recently an email was sent for you requesting you to consider and ‘vote’ on the topics for discussion at our annual … read more.